We are going to try and start a new Friday tradition of leaving you with a different theme to check out heading in to the weekend. Of course we’ll have to assume that people keep pumping these beauties out right? 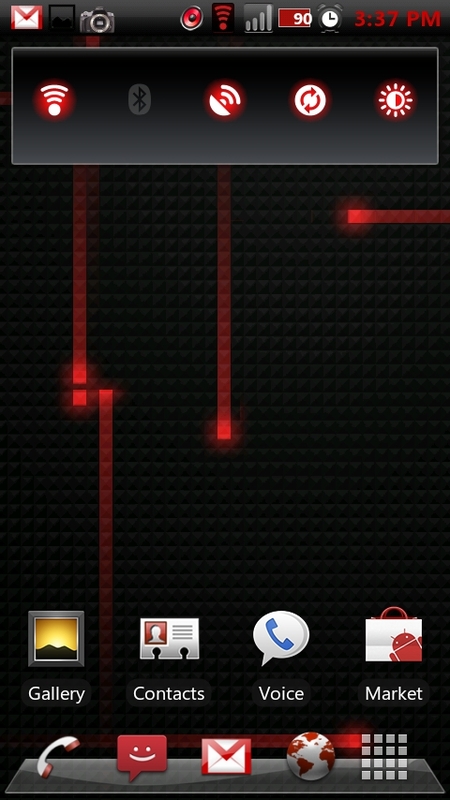 So to kick off this new segment, we’ve got something dark and red lined up which has already been customized for the new CyanogenMod 5.0.6.1. 2. Download and install the new Cyanogen 5.0.6.1. 3. Once that has completed, re-open ROM Manager. 4. 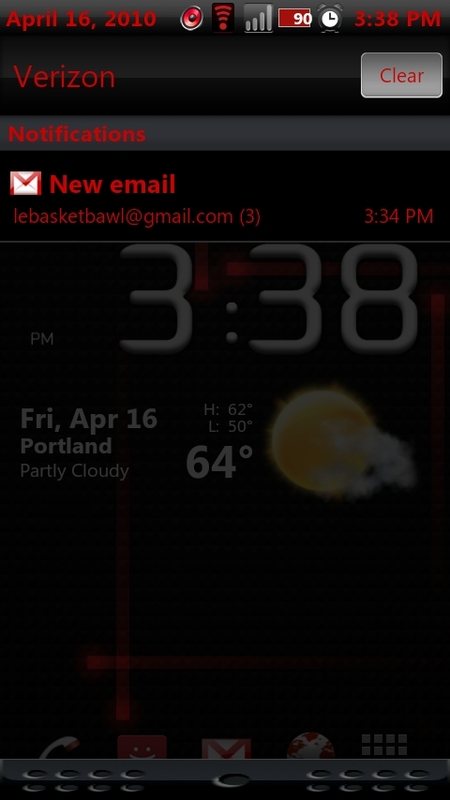 Download and install Begill’s RedRum. *Note 1* – It’s probably a good idea to make a backup at step 2. If for some reason you don’t like RedRum or 5.0.6.1 then you will want the newest backup you can have. *Note 2* – I’ve run into some Facebook force close issues, so you may need to perform a “wipe data and cache” at step 2 or before going to the new Cyanogen 5.0.6.1. You can also try a “fix permissions” and see if you have more luck. *Note 3* – You can try going from a JRummy’ Remix straight to RedRum, but in my attempts it was unable to bring in the whole theme.